Romahaus starts the production of durable garden buildings in 2005. At its location in Twist Germany, company makes prefab building blocks for walls, roofs, doors and windows. The building kits are prepared for DIY. Within a radius of 400 km company offer building assistance as well. 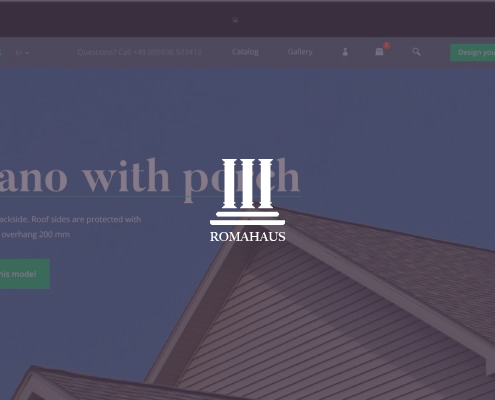 In 2014 Romahaus faced a challenge to provide best online shopping experience for clients and we were proud to provide consulting and development services to them. 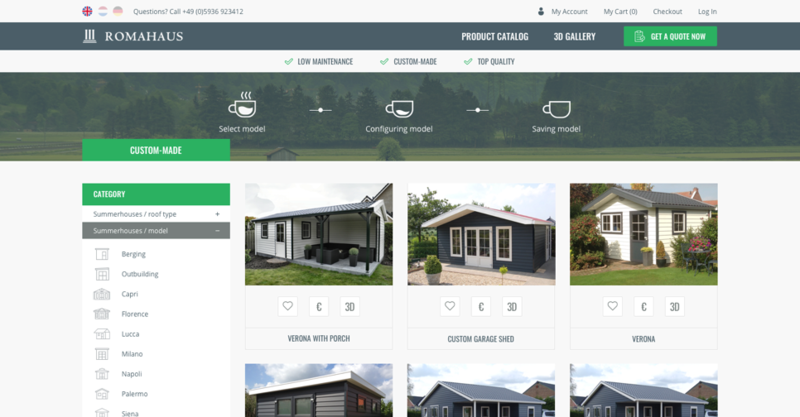 The desired output was to create a visual and interactive 3D design tool to allow company’s clients to see all house design options, build and order house online. 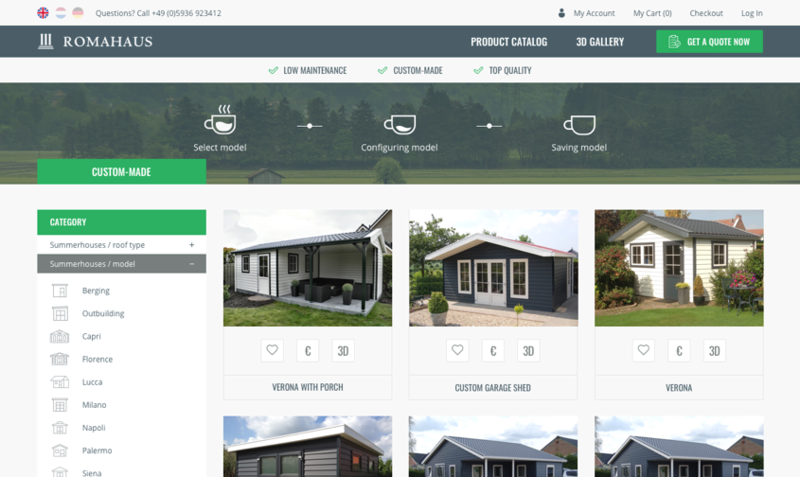 The site aimed to support different shopping methods along with various 3D models of Gardenhomes, Mobilhomes, Garages, Storage sheds and more. 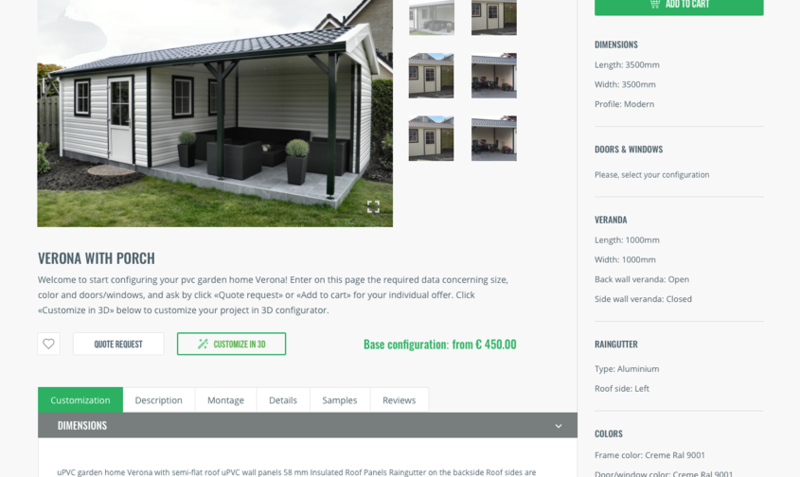 There is a big variety of house configurators available on the market. Some apps allow to make simple sketches, others enable users to create a detailed visualizaition of future houses. 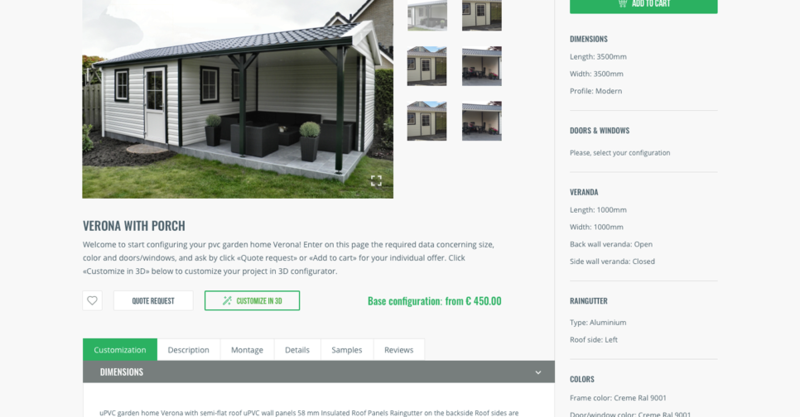 Romahaus configurator was supposed to become a competitive solution encouraging customers to create their small buildings in a few simple clicks. The idea was to build a powerful and easy-to-use tool. 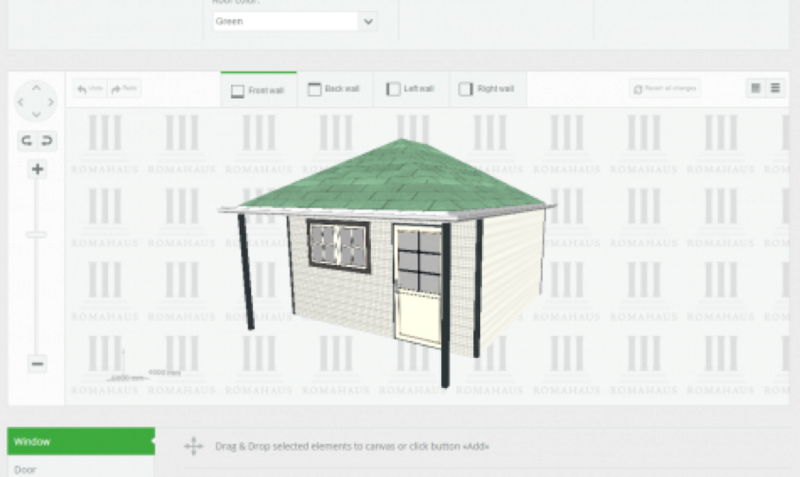 Our team created Romahaus platform with 3D House Configurator. 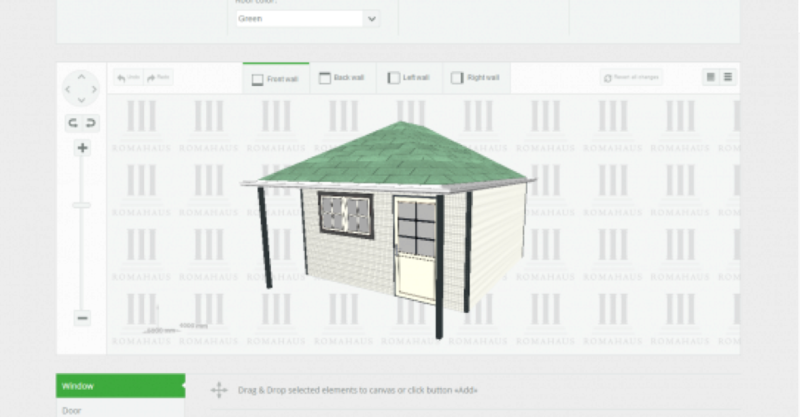 The tool enables customers to craft their own buildings using 3D models. Clients are able to combine numerous elements, view future models in real time and configure them accordingly. The website also allows to buy ready houses and order delivery with further building assistance.